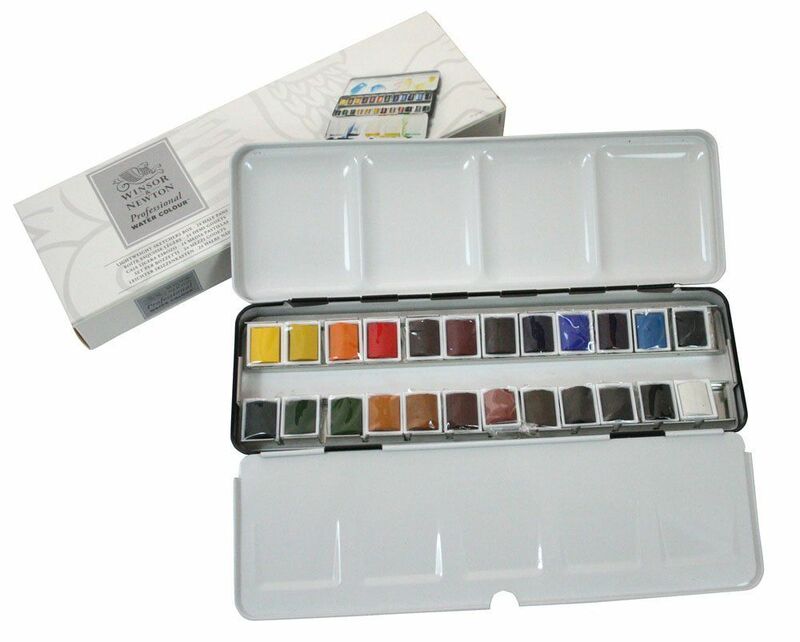 "Serious artists seeking higher-quality watercolors, choose the Artist's Water Colour line." "The colors are intense, bright and saturated." "Easier to mix with water, allowing for smooth, broad brushstrokes." "Easy to blend and bind well with watercolor papers." Windsor & Newton is one of the oldest watercolor paint brands and also one of the most popular. You can find W&N paints at just about any craft or art store. 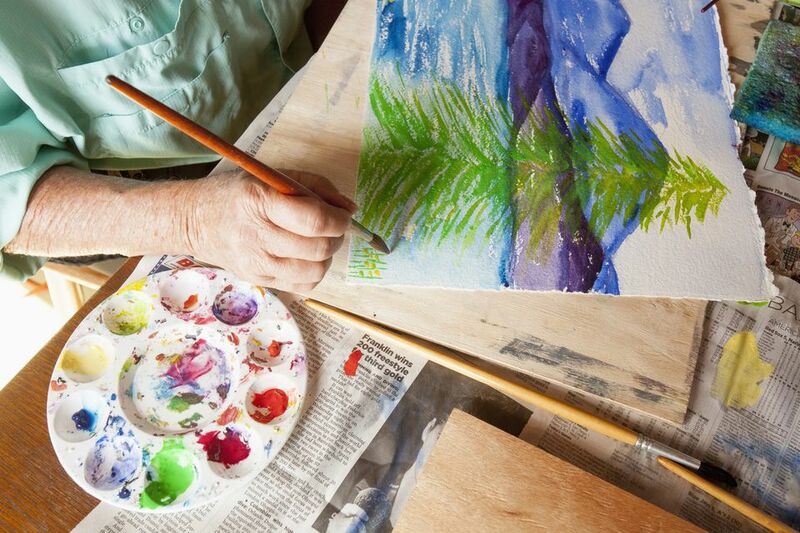 Many art teachers recommend the Cotman line of student-grade watercolors because they produce richer colors than other student-quality brands. For serious artists seeking higher-quality watercolors, choose the Artist's Water Colour line, with nearly 100 colors available, including some in ​extra-large pans. These watercolor paints are extremely pigmented, so the colors are intense, bright, and saturated. Their 70 colors have a high tinting strength, so a little goes a long way. M.Graham uses honey in the manufacture of its watercolors, in addition to gum arabic and glycerine, making their paints especially creamy and easy to mix with water. The result: smooth washes and blends that are exceptionally translucent. These are top-quality watercolor paints with very pure pigments and an astounding range of more than 200 colors. Many of these are single-pigment colors, which makes them ideal for color mixing. The range includes some intriguing colors and special-effect watercolors like iridescent shades. Can't decide which colors you want? You can ​buy a Try-It Chart, which has small samples of 238 colors. Photo ©2013 Marion Boddy-Evans. Licensed to About.com, Inc.
French watercolor manufacturer Sennelier uses honey in its paints, giving its colors a rich luster. Honey also makes watercolors easier to mix with water, allowing for smooth, broad brushstrokes. More than 70 colors are available in 10 ml (0.33 oz) and 21 ml (0.71 oz) tubes as well as in whole- and half-pan sizes. Daler Rowney makes a great, affordable set of tube watercolors for first-timers with 80 colors available. If you're watching your budget, look for their student-grade line of watercolors, called Aqufine. These paints won't produce colors that are as rich or translucent as their more expensive artist-quality line, but they're still an excellent choice. The paints are easy to blend and bind well with watercolor papers. You need to work sensibly with cadmium pigments because they are toxic, and you may prefer to use colors based on other pigments.